AC-130 Spectre Gunship, tail number 54-1626. 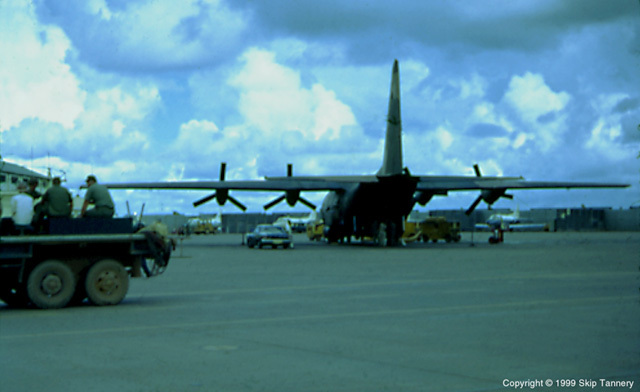 This was the first AC-130 (prototype) brought "in country" for testing. It is not a great photo , as I was not supposed to be taking this picture. September 1967.